RAN’S KINGDOM. Ran is an old Norse sea goddess. This pendant celebrates her kingdom by combining an image of a fish with fine silver and 22 carat gold. 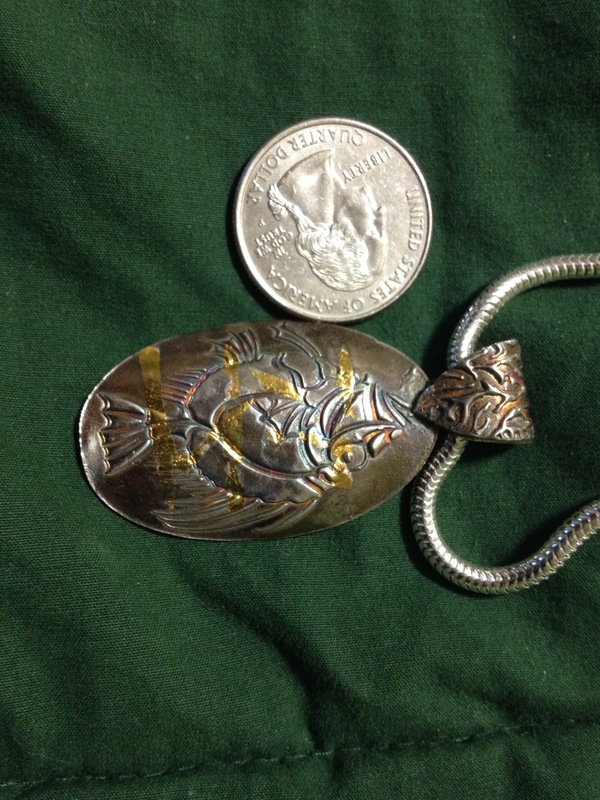 The coin is included to provide scale. WHO’S THERE? Are the curious frogs asking about the moon? Or is the moon wondering why frogs are staring downward? 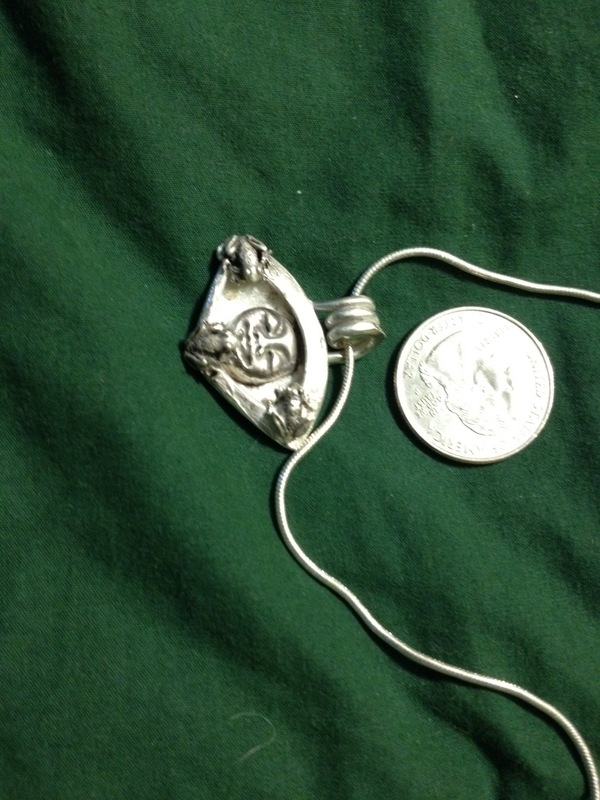 No answers are provided in this fine silver pendant, just whimsical art. KALEVIPOEG. Kalevipoeg is the name of Estonia’s national epic and its national hero. 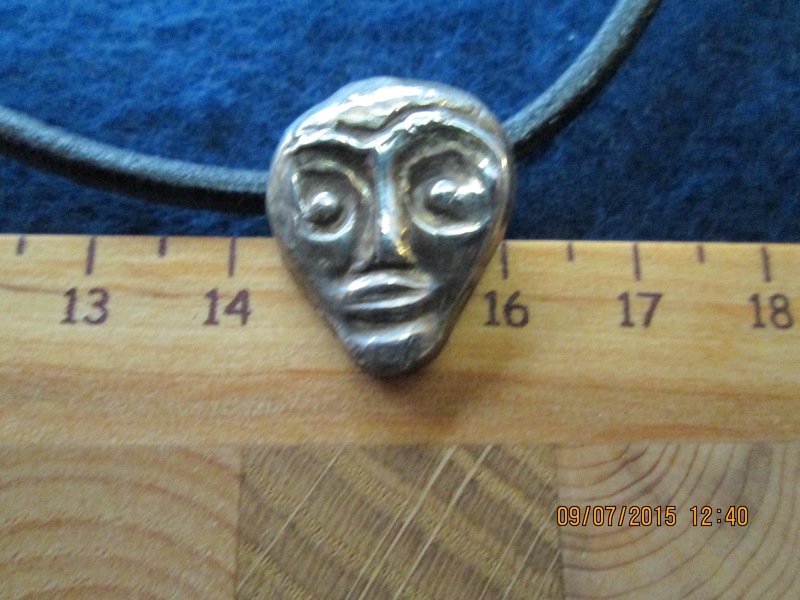 This fine silver pendant honors Kalevipoeg, who journeys to the ends of the earth to expand his knowledge. THUNDERER. 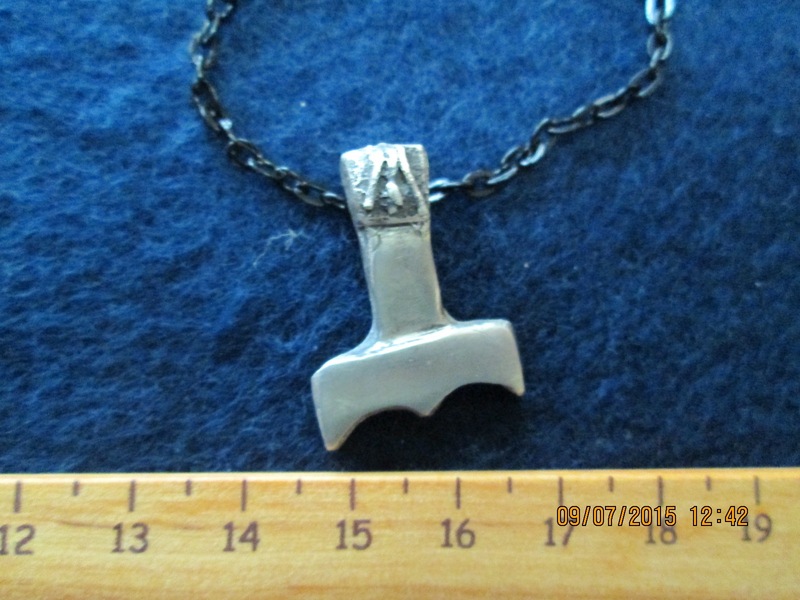 This silver pendant might represent Thor’s hammer. However, it might also represent the hammer of Uku, an Estonian god who carried a hammer. 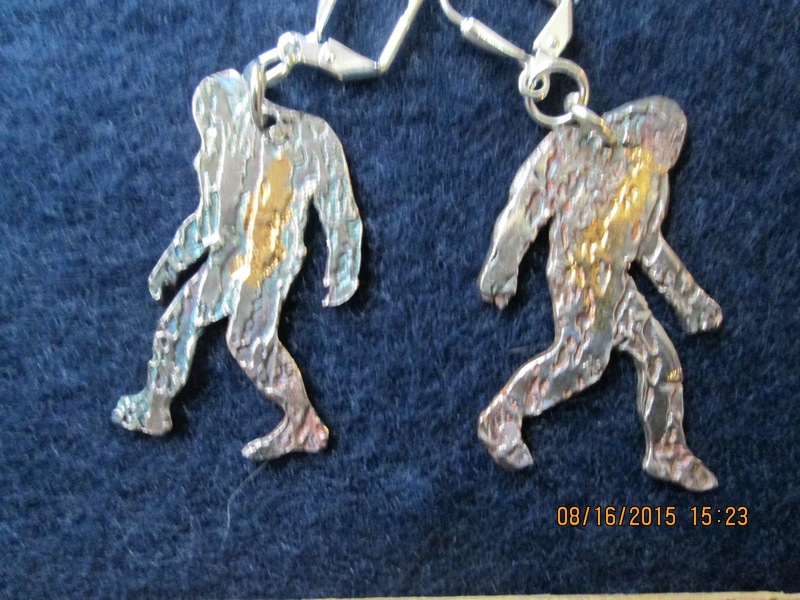 The pendant is based on imagery I saw on a trip to Estonia. KOKOPELI’S JOURNEY. 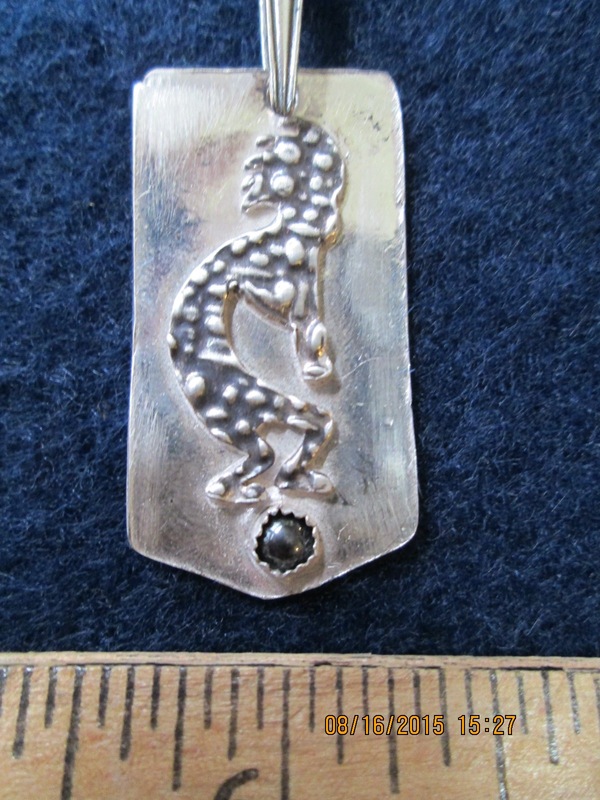 This pendant, made of fine silver and hematite, commemorates Kokopelli, the humpback flute player of the southwestern United States.